Nasty old nails gettin’ ya down? I feel your pain. 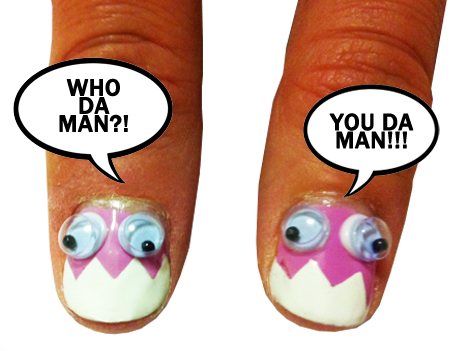 That’s why I took my chipped manicure and turned it into…. 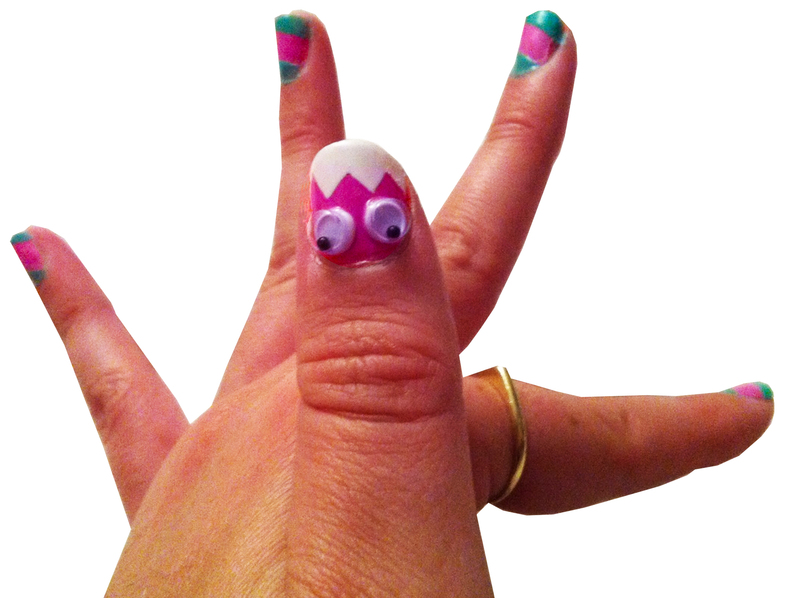 This manicure is almost just as simple as the geometric nails featured in DIY Nail Art. It uses all the same materials, plus googly eyes and Krazy glue. First I used craft glue to affix the eyes to my thumb, but I’m a fidgety and the craft glue couldn’t withstand my obsessive picking and flicking; the eyes came off. But Krazy glue did the trick, and my hands danced in joyous celebration! Weeeeeeee! 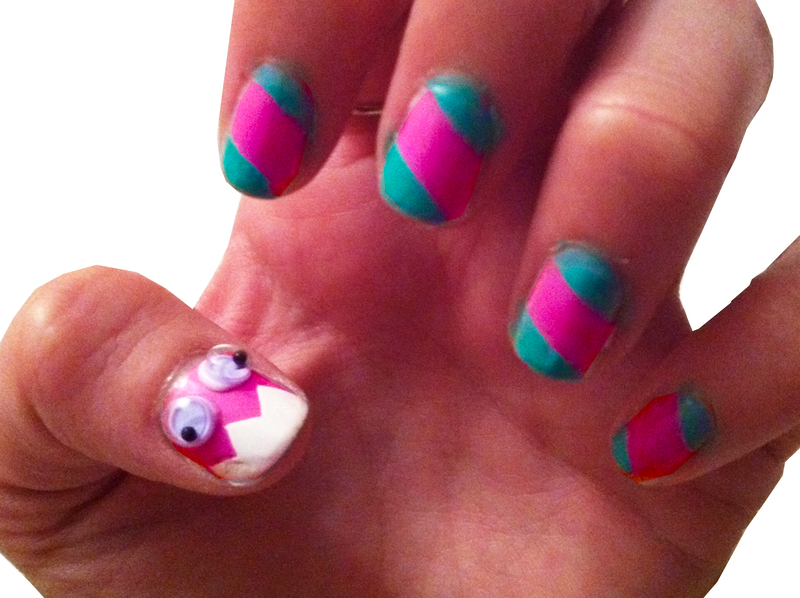 Fun nails are a fun time. And needless to say, these guys are a blast. look this funny decoration, is realy easy to to. I’m definely gonna try it, and I will show you the results. Mires esta divertida decoración es muy sencillo de hacer, definitivamente lo voy a probar y les mostrare e resultado.. This post filled me with lolz! Hi Skaytanik, I’m glad this made you laugh! 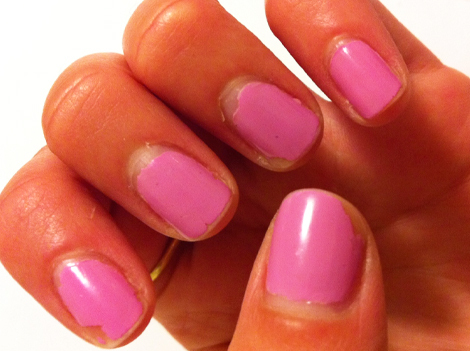 Be sure to let us know how your mani goes if you decide to give this a try.